Downieville - T Minus 2 Days and Counting! 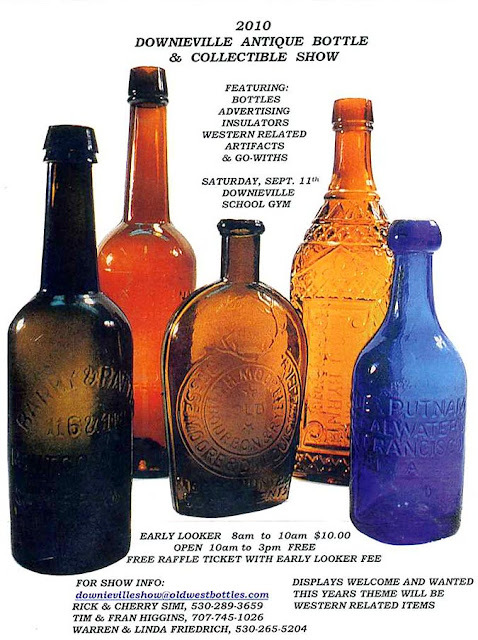 This coming weekend, September 10th, & 11th, is the annual Downieville Bottle Show. This years show features: "THE GREAT WESTERN ROUND-UP" display. An assortment of some of the choicest Western bottles known will be on display. This is Un-like any other show on the West Coast.